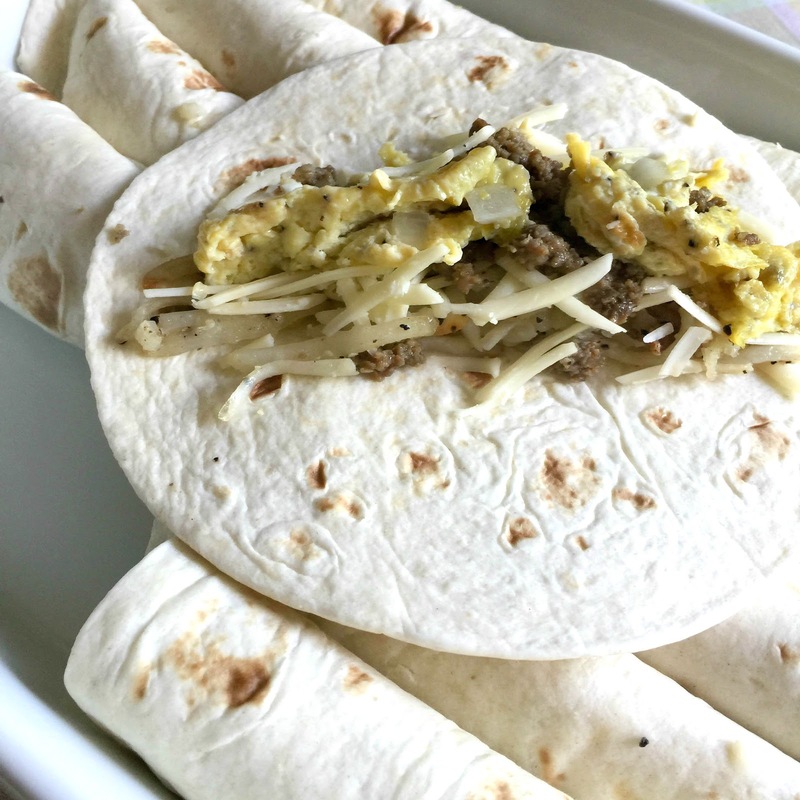 Southern Breakfast Enchiladas with Sausage Gravy, hearty breakfast enchiladas with a Southern spin on a favorite Mexican dish your whole family will thank you for in advance. 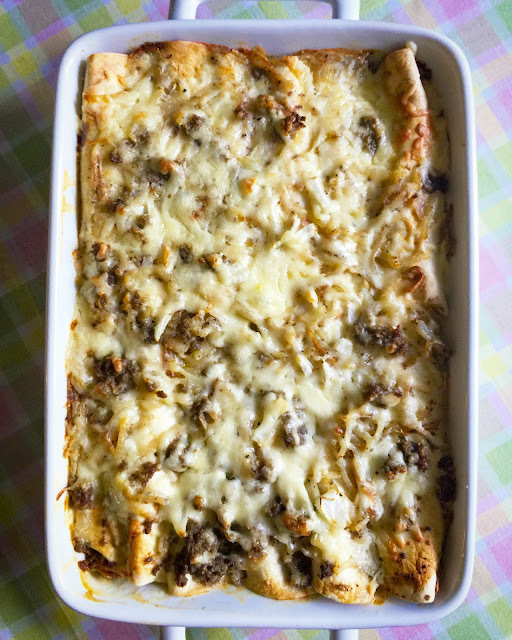 If you are a fan of breakfast casseroles, you are going to love these Breakfast Enchiladas with Sausage Gravy. Not only are they delicious and a little unique, but it is also easy to make and can even be made the night before for the next morning for brunch or family breakfast. Get all the ingredients ready and assemble the breakfast enchiladas the night before, make the sausage gravy the next morning and pop in the oven. For the ingredient, I used hot sausage, white sharp cheddar cheese, and shredded hash browns. I soft scramble the eggs because they will cook some more in the enchiladas. If you prefer to change up the ingredients to your taste, feel free, but I do recommend the white sharp cheddar cheese in these Breakfast Enchiladas. It just makes them super delicious. My grandsons are big fans of eating breakfast for dinner. 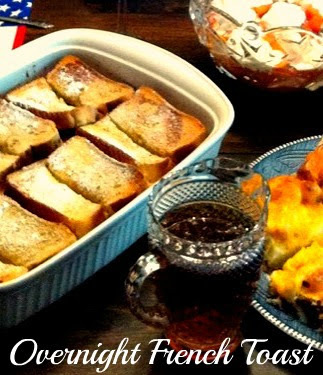 A couple weeks ago, I made Challah French Toast and a pan of Breakfast Enchiladas. Serve a bowl of fruit, and we have a meal for a King or Queen. haha. 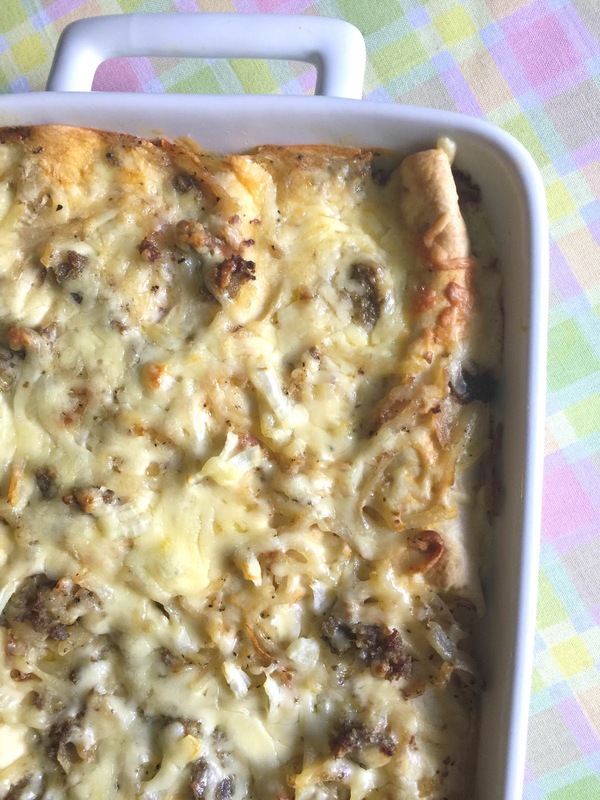 This is such a fun and different take on a breakfast casserole, I can promise you I will be making it often. 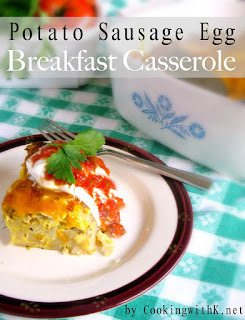 Hearty breakfast dish with a Southern spin on a favorite Mexican dish your whole family will thank you for in advance. In a large skillet heat butter to hot and melting. Add eggs, salt, and pepper. Scramble the eggs moving them around in the skillet. Cook until eggs are cooked soft and fluffy not entirely done. Remove eggs from skillet onto a platter; set aside. Use the eggs in the enchiladas. Heat a large skillet with oil until hot but not smoking. Add half of the hash browns. Salt and pepper and let cook until the bottom is golden brown about 5 minutes without stirring. Turn the hashbrowns over and cook until the other side is golden brown; approximately 3 minutes. Remove from the skillet and cook the other half the same way. Set aside. Use the hash browns in the enchiladas. Use the hash browns in the enchiladas. While the hash browns are cooking, cook the sausage and onions in the skillet used to cook the eggs on medium high heat. Brown the sausage breaking it up until crumbly. Remove half the sausage from the skillet onto a paper towel lined platter. Use this reserved sausage in the enchiladas. Preheat the oven 350 degrees F. Add avocado oil to the remaining sausage. Heat on medium high heat until hot but not smoking. Add the four. Stir the flour in the sausage and oil until lightly brown. Add the milk, 2 cups first and a cup at a time as needed, continually stirring, scraping the bottom of the skillet releasing all the sausage crumbs. Cook stirring until slightly thickens. Cook until it is a creamy sauce and turn the burner off. The gravy needs to be more like a creamy sauce, not runny or thick. 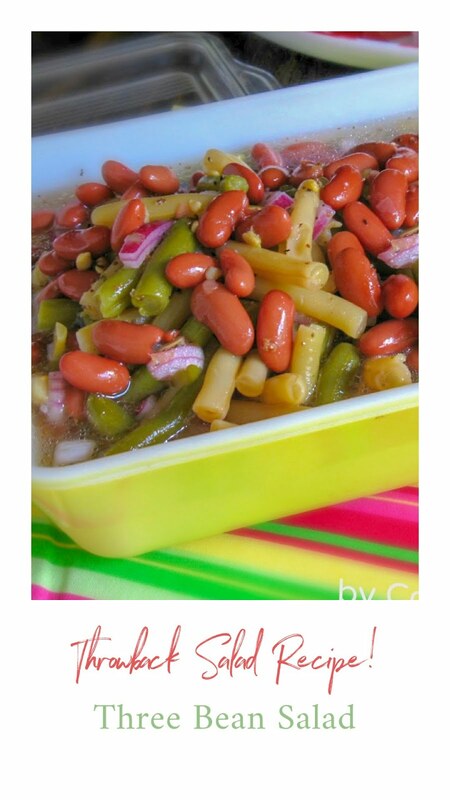 It will thicken as it cooks in the oven. If the gravy gets too thick, add a little milk to keep it creamy. If there is any hash browns, crumbly sausage leftover, sprinkle across the top of the enchiladas. Pour the creamy sausage gravy over the enchiladas covering each one. Sprinkle remaining shredded cheese evening over the creamy sausage gravy. The enchiladas can be made ahead the night before and refrigerate until cooked the next morning. I cook the sausage and make the enchiladas with half and refrigerate the other half for the creamy gravy the next morning. Mild sausage may be substituted for the hot sausage. Mild cheddar cheese may be substituted for the Sharp White Cheddar Cheese, but not as tasty. This looks delicious. I love sausage! Thanks for sharing on Foodie Friday! I love breakfast and breakfast casseroles and this one sounds and looks so good. 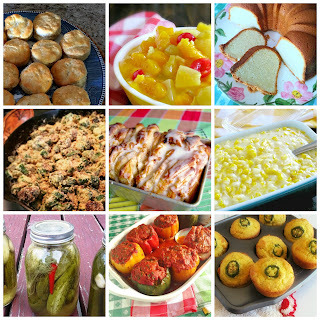 Thank you for sharing at Foodie Friday Link Party. These look great! We are going to have to try these soon! I made this for my husband this morning for his 70th birthday breakfast. 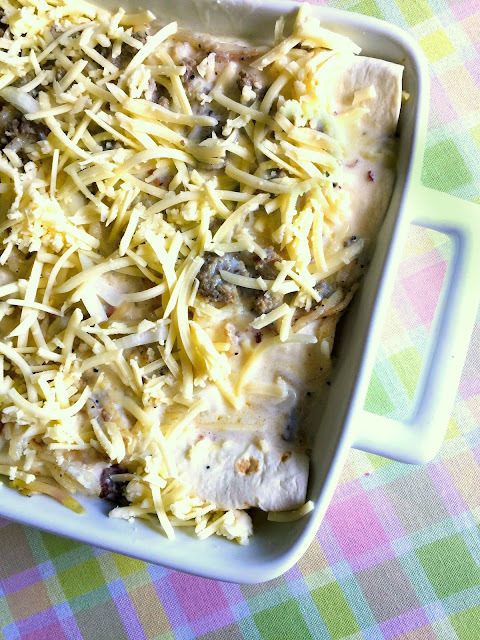 It was delicious and one of the best breakfast casseroles we've ever had! Thank you Linda for your sweet comment. I am so sorry for just now responding. I recently noticed I was not receiving comments and looked into it and the comments were going to spam. Blogger made some changes and I didn't catch it. 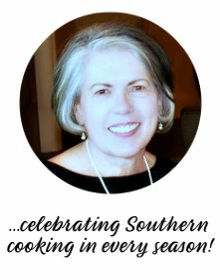 I am thrilled you family enjoyed the recipe and stopping by CWK to let me know!